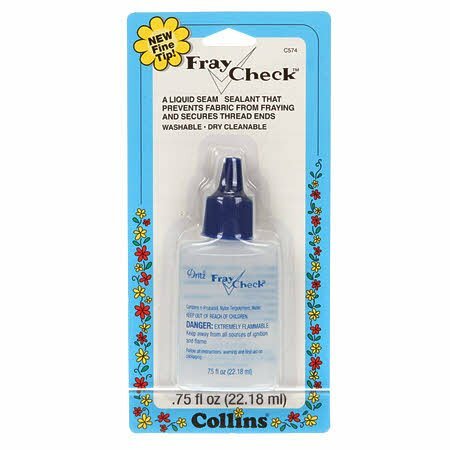 Fray Check is a liquid seam sealant that prevents fabric from fraying and secures thread ends. Washable and dry cleanable. .75 fl oz.